Euro is moving close level of 61.8%. 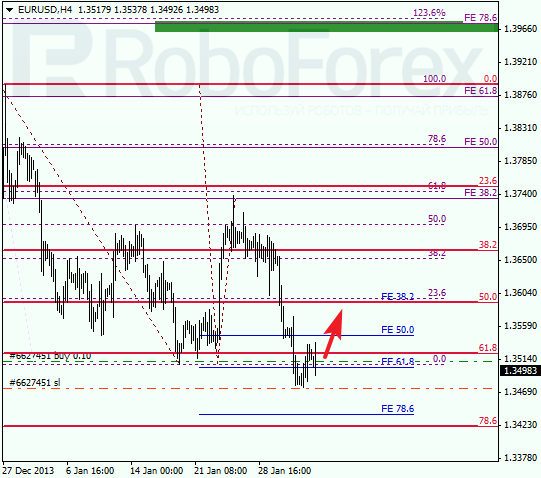 If later price is able to stay above this level, pair may start new ascending movement towards upper fibo-levels. Otherwise, current correction may continue towards level of 78.6%. 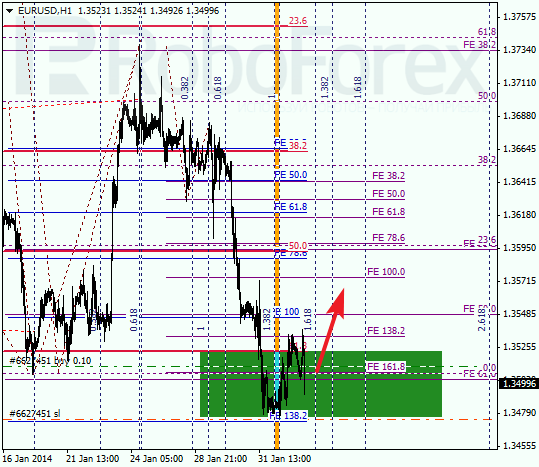 At H1 chart we can see, that market is still moving inside lower target area; price rebounded from its lower border right inside temporary fibo-zone. I’ll move stop on my order into the black right after pair reaches new local maximum. 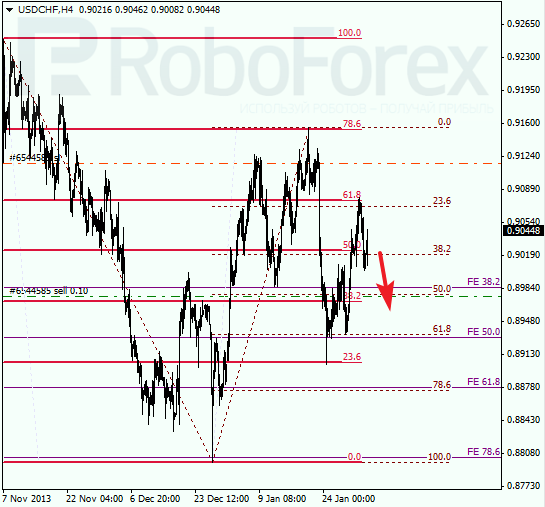 Franc rebounded from level of 61.8%, which means that market may start new descending movement. I’m keeping my sell order so far, although right now I’m in a drawdown. Main target is still below previous minimum. 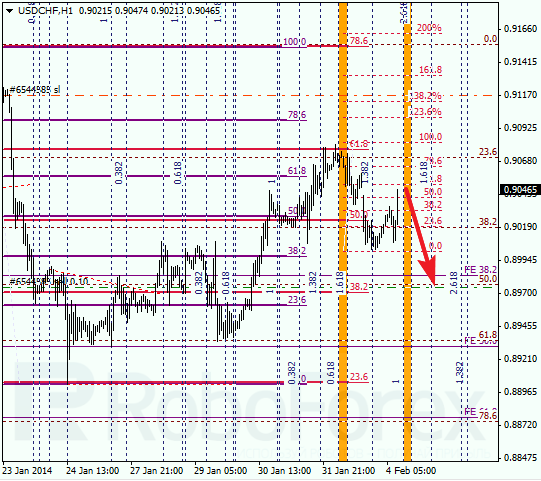 As we can see at H1 chart, local correction reached level of 61.8%. Right now, market is entering temporary fibo-zone, which means that price may reverse downwards.